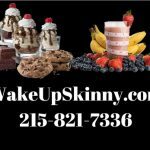 If this is your first time visiting our site I’d like to welcome you and if you would like more information about our Philadelphia medical weight loss program that consists of appetite suppressant medications, weight loss pills, vitamin B12 injection therapy, nutritional consulting and exercise consulting I invite you to call us and schedule your free consultation. Call us at 215-821-7336 and schedule your free consultation now. In addition to our in office services we also try to provide educational information such as recipes, exercise routines and Health and Wellness tips here on our blog. Today I’m going to give you a great low carb recipe. I am giving you the recipe for low carb waffles. Combine all of your ingredients except for the coconut oil and vanilla extract in a blender and blend until everything is mixed nicely together, it should make a very smooth batter. Then add your vanilla or chocolate extract and coconut oil and continue to blend until it’s all mixed nicely together. After that spoon out 3 tablespoons of your batter onto a hot waffle iron and close the lid. Cook until it’s done. Remove the waffle and then cook the rest of the batter. You can serve this with some yummy sugar free chocolate sauce or any other sugar free sauce if you like. This recipe makes 2 waffles. So there you have it; a great comfort food waffle recipe to enjoy on these cold winter days. If you, a friend, loved one or co-worker need help with losing weight I invite you to call us and schedule your free weight loss consultation. Call us now at 215-821-7336 and schedule your free consultation. This entry was posted in Diet Doctors in Bucks County, Diet Doctors in Philadelphia, Medical Weight Loss in Philadelphia PA, Medical Weight Loss Philadelphia, weight loss philadelphia and tagged medical weight loss in philadelphia, philadelphia diet doctors, philadelphia medical weight loss on December 21, 2017 by Dr. Michael Kenny.